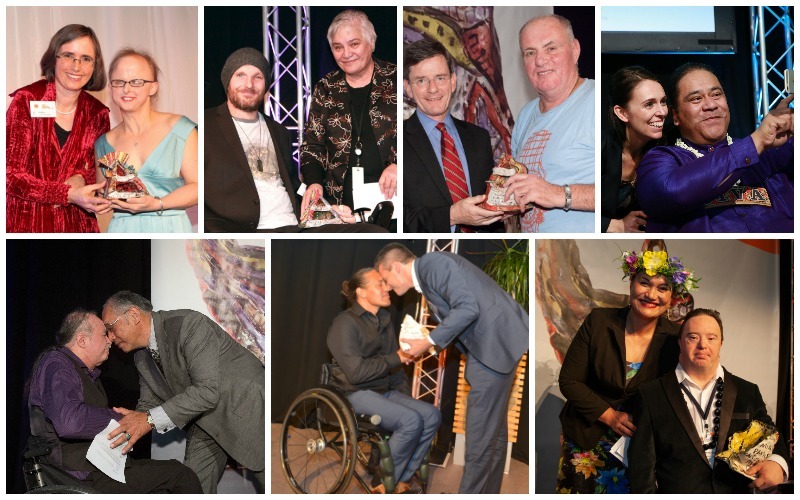 The Arts Access Artistic Achievement Award is presented annually at Te Putanga Toi Arts Access Awards. It was introduced in 2012 and the inaugural recipient was circus performer Sarah Houbolt. The award recognises the outstanding artistic achievements and contribution of a New Zealand-based artist, who has a physical, sensory or intellectual impairment, or lived experience of mental ill-health. Together, these recipients form a special group of artists who create and present the arts, offering fresh perspectives for all of us to enjoy. They are leading advocates for both the arts and for disability, and contribute immensely to a more diverse, inclusive society in Aotearoa New Zealand.